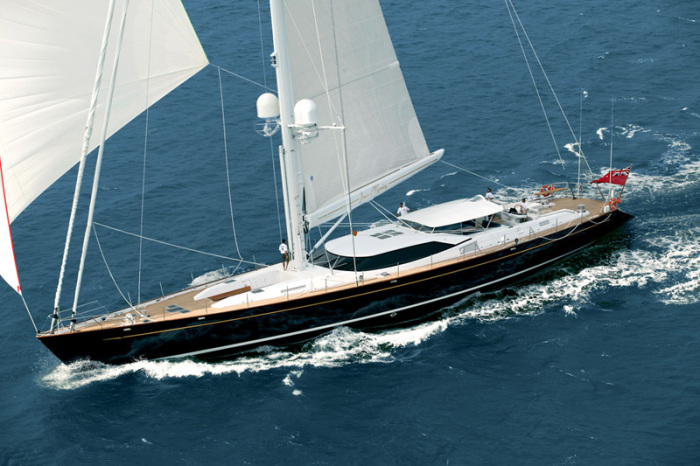 Alloy Yachts – 186′ Mondango3. 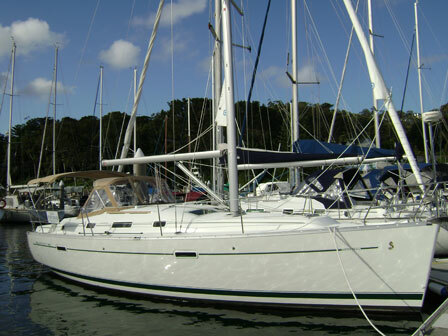 docked at Mackay Harbour Marina, North QLD, Australia. 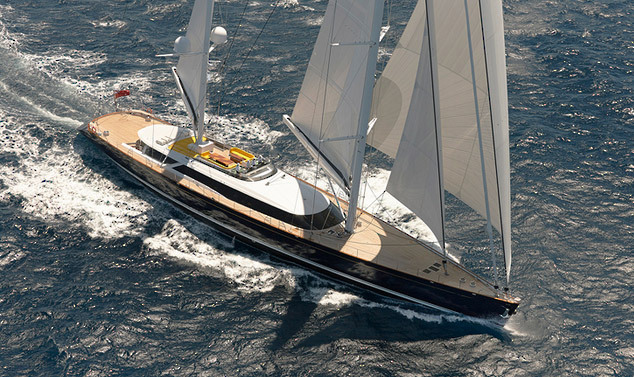 Alloy Yachts – 130′ Janice of Wyoming. 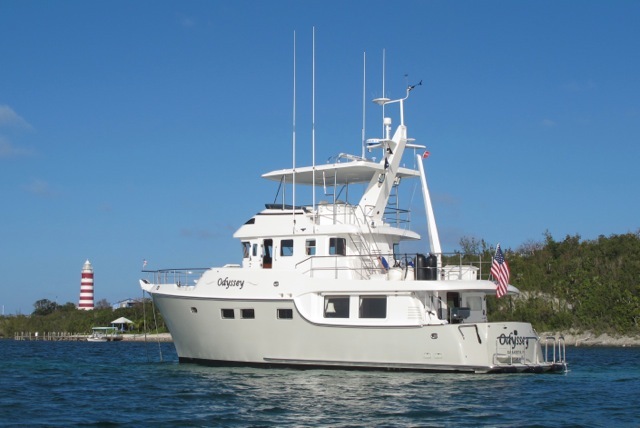 “We departed Sarasota on April 15th for a three month cruise to the Bahamas. The day before we left we had the bottom cleaned, and the diver reported that the bottom paint was in fair condition (painted in March 2012 with Sea Hawk Biocop TF Black so now over two years old). By the time we reached Bimini the grass at the water line on the port side was about 4” long, the bottom and stabilizers were white with growth with many barnacles. As we were waiting for weather for a few days, I took the opportunity to install the CleanAHull Ultrasonic Antifouling System I had acquired from Ultra-Sonitec.com before leaving Miami. The installation took about 12 hours with a bit of help from my first mate in pulling the wire runs. I then cleaned the bottom, which took me about 6 hours! It is now five weeks since the installation and I am extremely pleased with the results! No grass, no barnacles, and only a thin coating of slime, which easily wipes off with a scotch pad! Even in areas where the paint is worn off, and the underwater light lenses, are free of growth! These are excellent results, especially considering that we have been at anchor for most of the past five weeks rather than underway almost every day as in the first part of our cruise. “It is not often you find a product that you want to rave about, but I have found one. 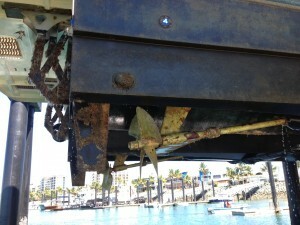 In this case it’s called Ultra-SoniTec’s CleanAHull ultrasonic antifouling system. I do my own bottom cleaning on my Cruisers 5000 sedan sport. That’s a 50 foot boat with a lot of bottom. I typically use the boat once a month for a four day weekend trip. That means it usually sits for the best part of a month and grows barnacles and slime (this is Southwest Florida and the boat is in the water all year). A dirty bottom means it’s very difficult to get on plane and is very cost inefficient. I installed the Ultra-SoniTec CleanAHull System in the beginning of May 2014 and I have not had to clean the bottom once in the nine months since it was installed. The bottom paint was over a year old and not far from having to be hauled and painted. According to Ultra-SoniTec, you can double and triple the life of bottom paint, depending on the paint used. What slime builds up on the bottom is dead and washes right off when the boat starts moving. On the side of the boat where it is in the sun, to test if it works I just rub my hand along the hull and the slime just flakes off. I’ve gone underwater to check the bottom and you can hear a beep, beep, beep sound from the ultrasonic unit under the boat, but there is no sound inside the boat. The savings in fuel, paying a diver, and haul out, more than pays for the equipment. Installation is extremely simple. Just grind a smooth spot on the inside of the hull and glue down the transducers. Then you wire the transducers to the CleanAHull Control unit. Each transducer covers approximately a 15 foot radius. My understanding is that you have to have bottom paint for it to work most effectively. Places where there are no anti-fouling paint can grow barnacles. On boats with balsa core hulls you have to cut through to the inner layer of fiberglass, remove the balsa wood, and then seal and reinforce the area before installing the units. That’s all there is to it. Simple to install, maintenance free, and cost efficient.